Note: Watch the video…you get to see me in costume in crude Viking armor with a silly axe. A few years ago I stumbled upon a game by a little Indie group called Logic Artists. It was called Expeditions: Conquistador wherein you played as a Spanish Conquistador sent to 15th century Central America. Along with you was your Hermandad, a group of your most trusted supporters. Well Logic Artists have recently released a new game in the Expeditions series…Expedition: Vikings. And that is why those of you following me on social media have seen very little of me over the past month. In Vikings you have a Hird with you, which is your most trusted supporters amongst your tribe of Scandinavian warriors. These Hirdsmen are the characters you will travel through Denmark and the British Isles with – they are your only supporters when you cross the ocean as a Viking. So…were there similar ideas to the Hermandad or the Hird in Japan? Of course there were. They were called Hatamoto. Hatamoto literally means Under The Banner, denoting someone who would be nearby you in a military camp i.e. someone ‘Under Your Banner’. You see Hata means flag or banner and Moto, of course, means underneath or at the base of. Hermandad, as I mentioned from Conquistador, means Brotherhood and can easily be compared to the Italian term Fraternity. Hermandads were essentially groups of vigilantes who took up arms to protect the local populaces of Iberia from the Moors. One theory is that they actually modeled themselves off the Shurta, an Islamic peacekeeping force of the post-Mohammed Muslims. I find this ironic since they were Christian Spaniards who, ostensibly, were protecting fellow Christian communities from invading Muslims…by acting like the Muslim police. A good example of a Hermandad in contemporary media is actually, strangely enough, Kurosawa’s epic film Seven Samurai. In the movie a group of, you guessed it, seven samurai gather together to protect a village from bandits. This would be a Japanese version of a Hermandad. As for the Viking version of things, a Hird was a group of a Scandinavian lord’s closest personal retainers. You may have heard of Huscarls – that is Freemen of the House. Freemen of course referring to the fact that they were not slaves and the house referring to the immediate household of the lord in question. Huscarls were also known as Hirdsmen, members of a lord’s Hird – his household. This is because in Scandinavian societies lords would often have large houses, hence the term longhouse, where their immediate family and servants would live in the longhouse with them. If not inside, then they would often live very nearby. So someone who lived in the lord’s house and served the lord and his family could be a member of his Hird. So I told you all that to tell you this…Hatamoto were similar to Hermandads and to Huscarls, but they were not the same. The Hatamoto were the closest retainers of a daimyo. They may be family members or just clansmen from a family who had served loyally, perhaps for very a long time. 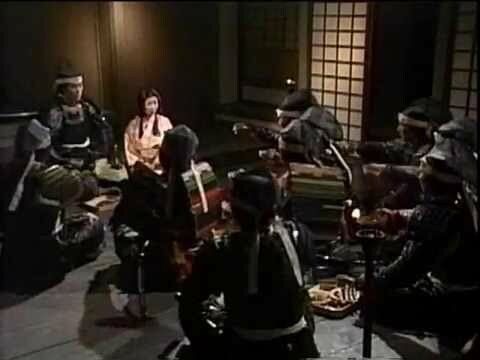 In our story of Minamoto no Yoshitomo’s betrayal of his father and brothers, the two men I mentioned who carried out his deeds: Kamada Masakiyo and Hadano Yoshimichi – they would be similar to Yoshitomo’s hatamoto. Minamoto no Raikou’s four chief retainers – Watanabe, Usui, Urabe, and Sakata would be his hatamoto. Of course…in the times of both Yoshitomo and Raikou, they wouldn’t have been called Hatamoto. They would have been Gokenin – Housemen, stemming from Goke which means house and Nin which means person. Aha, see the similarities between the Gokenin and the Hirdsman? Now one thing to note is that there was another, similar term: Kenin. Kenin were retainers, indentured servants of a household who were in a classification above slaves. Sometimes the honorific prefix ‘Go’ was attached to the word Kenin, turning it into Go-Kenin…which basically meant ‘Prestigious House Man.’ At times these two version of Gokenin are apparently used somewhat interchangeably but once you start getting into the later Heian periods and into the Sengoku the Go-Kenin version really doesn’t apply to the type of people who eventually evolved into the Hatamoto. Most hatamoto were free men of samurai status, or even daimyo in their own right, not indentured servants of a prestigious house. Technically speaking, the Gokenin were the retainers who served the Kamakura and Muromachi Shoguns directly. The Gokenin acted on the authority of the Shoguns and could collect taxes, gather and field an army, and spend on public works as they saw fit – in the Shogun’s name and on what was theoretically the Shogunate’s lands. So eventually the Gokenin gave way to the Hatamoto – the closest retainers of a daimyo, any daimyo. As I said, technically speaking the Gokenin served the Shogun directly; but Hatamoto could serve anyone. 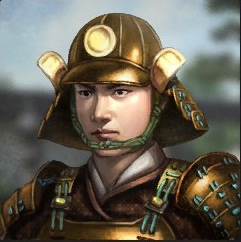 In the game series Total War: Shogun a general and lords have a slew of elite armored cavalry guarding them – the game refers to these horsemen as the lord’s Hatamoto. 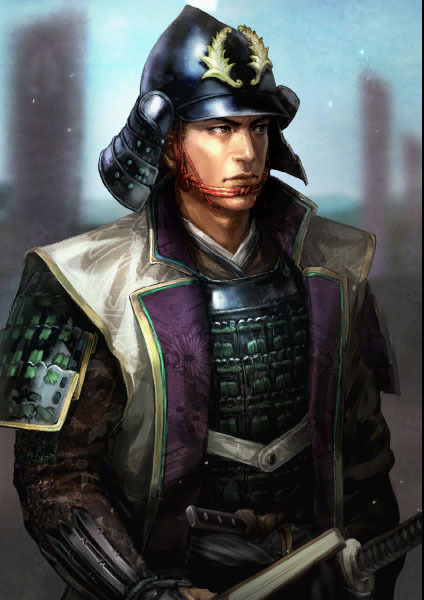 Technically the term Hatamoto could refer to anyone working within the lord’s command tent; the person in charge of lord’s camp guards was the Honjin-Hatamoto. Eventually as we get into the Edo period Hatamoto became the title for the closest retainers of the Tokugawa Shogunate. The Tokugawa Hatamoto were mostly the retainer families who had served Tokugawa Ieyasu and the Matsudaira clan before that, when he was in Mikawa and stayed with him when he moved to the Kanto. Clans like the Ii, Honda, and Sakakibara. Hatamoto were generally given lands surrounding the Tokugawa’s own domain. This is because they were expected to be the most loyal and dedicated to the Tokugawa cause. This created a buffer zone between the Tokugawa and the Fudai, the Inner Lords who had supported Tokugawa at Sekigahara but did not have the tenure under the Tokugawa to be hatamoto. Clans such as the Maeda, Kuroda, and Hosokawa. 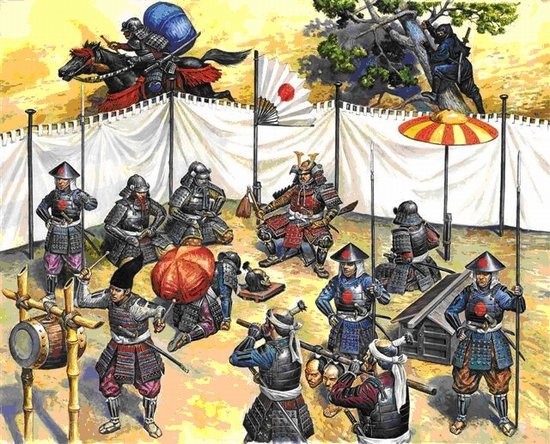 Outside of the Fudai were the Tozama, daimyo and their clans who fell in line after Sekigahara but were either neutral in the fighting or had actually supported the enemy during the battle. 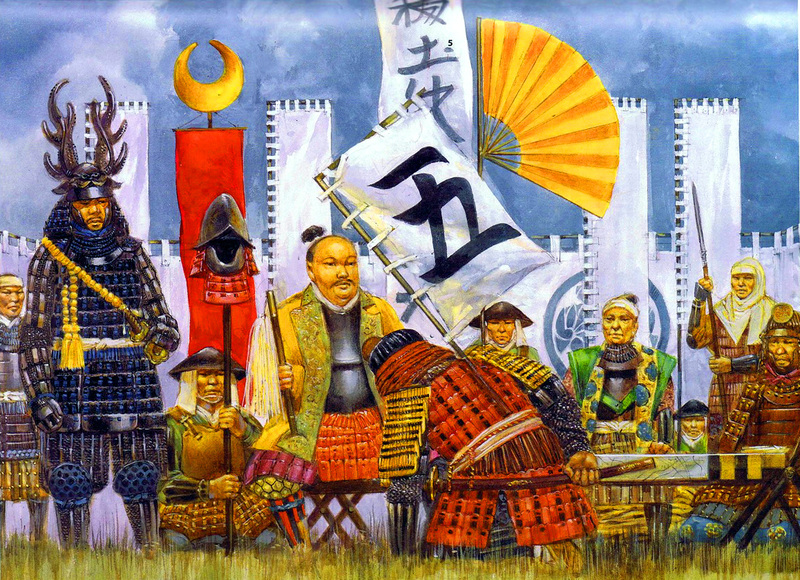 Clans such as the Shimazu, Mori, and Tachibana. Just like the various levels of daimyo, there were also various levels to the Hatamoto. On the higher end you had Hatamoto who were promoted to daimyo-level status like the Ii and Honda clans which held over 150,000 koku domains each. When Hatamoto held daimyo titles, meaning they had more than 10,000 koku worth of land, they were often placed into the Fudai Daimyo classification; because they were no longer Hatamoto – they ruled their own lands, now. Legitimate Hatamoto would, essentially, make less than 10,000 koku per year. Beneath them was a class that utilized a term we’ve already heard before: Gokenin. Only now, these two terms mean something much different than when they were first introduced. 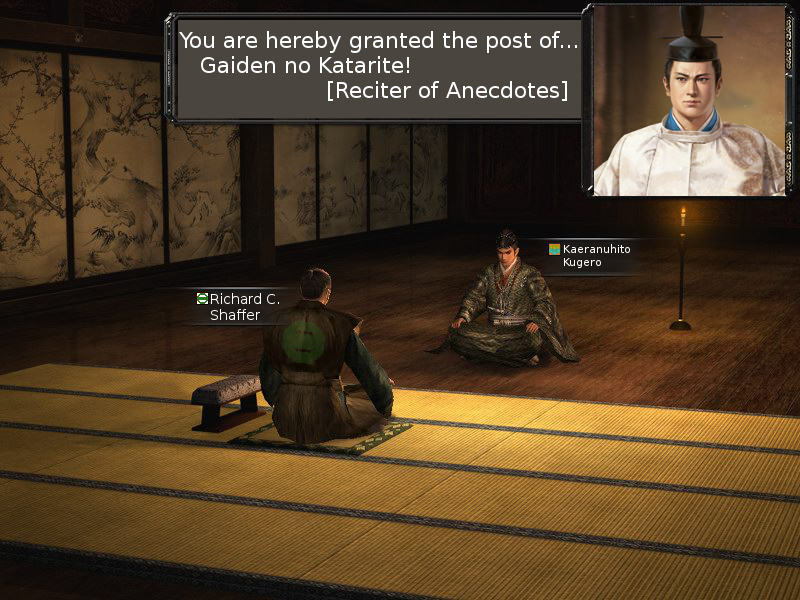 Gokenin and Hatamoto were both direct retainers of the Shogunate, however Hatamoto were the higher-class and were granted permission to request an audience with the Shogun. If they were in town and dinner was held, they could presumably sit in the hall with the Shogun as one of his retainers. Gokenin, however, did not have such permission and were not allowed audiences with the Shogun. That is not to say that Hatamoto were always better off than Gokenin…but a Hatamoto was likely to have higher income, more control of their lands, and more chances for promotion. Even so, I’ve read that during the Edo period nearly a quarter of the Hatamoto ranks were destitute. There is a term describing how powerful the Hatamoto and the Gokenin were – numerically speaking, of course. The Tokugawa utilized the term Hatamoto Hachimanki or the Eighty Thousand Shogunal Retainers. In reality there were likely only around six-thousand Hatamoto during the Edo period and about 20,000 Gokenin; at their most numerous. For a smaller daimyo their hatamoto would consist of their most ardent personal retainers, much like the Hirdsmen of Expeditions: Viking are to your main character. This is where I’ve been! If you’ve been watching Samurai Gaiden for a while, I’m sure you’re rather familiar with the battle of Okehazama. In the year 1560 the relatively weak warlord Oda Nobunaga was invaded by the powerful warlord Imagawa Yoshimoto. However in the plains of Okehazama Nobunaga brought about a resounding surprise victory over Yoshimoto ending the political aspirations of the Imagawa and cementing Nobunaga’s dominance over the area. Two-thousand Oda soldiers versus twenty-thousand Imagawa soldiers! If you’ve played Onimusha you’ve at least seen a representation of Okehazama, as I mentioned in the Akechi Samanosuke video which I’ll link to in the description. So here’s the set up. Ito Yoshisuke has secured himself the rulership of the Ito clan from his brother, Sukemitsu in the year 1533. He then went about expanding the influence of the Ito clan, bringing it to new heights not seen since they were first founded by Fujiwara Korekimi in the Heian period. This, of course, brought him into conflict with the neighboring Shimazu clan, ruled by Shimazu Takahisa. Yoshisuke had also gone to the capital and presented a pretty good case for the Ito, winning himself the court rank of Jusan’i –Junior 3rd Rank. Yoshisuke was certainly a good daimyo; a qualified commander and good political backstabber. When the Kitahara and Hongo clans were at war he sided with the Kitahara – however when the Kitahara suffered a succession dispute Yoshisuke was quick to swallow them up. Their master Kitahara Kanetaka fills up about half a sentence in history books, his most notable feat being murdered by an Ito retainer. So like I said before, Yoshisuke has made a case for the Ito in the Imperial Court and spent some time in Kyoto. After seeing the pomp and luxury of the capital he decided to start styling himself like a courtier, rather than a common samurai. He had begun dressing like a courtier and was living a luxurious lifestyle, having placed his relative, Ito Sukeyasu in charge of his army. The Ito had allied with the Sagara, the Kimotsuki, and the Nejime…effectively surrounding the Shimazu on three sides. Yoshisuke began encroaching on Shimazu territory and made the war pretty official by invading and capturing Obi castle in southern Hyuga. With the Sagara taking territory from the Shimazu on the north, the Kimotsuki from the south, and the Ito from the east…Shimazu Takahisa had to do something. Especially since his uncle, Shimazu Tadachika had died as a result of the Ito and Kimotsuki capturing Obi castle. Shimazu Takahisa went about beating back the Kimotsuki and Nejime first, securing a strong base in Osumi province. With the Kimotsuki threat nullified for the moment he made preparations for a battle against the Ito. His armies moved into position at the Osumi-Hyuga border, however Takahisa died before the fighting could begin. Just a quick council meeting to compose poetry, before we ride out and slaughter a numerically superior force! Now I believe that Takahisa had already retired in favor of his eldest son years before his actual death, but there is some reason to believe that his death could be a weak point for the Shimazu side. 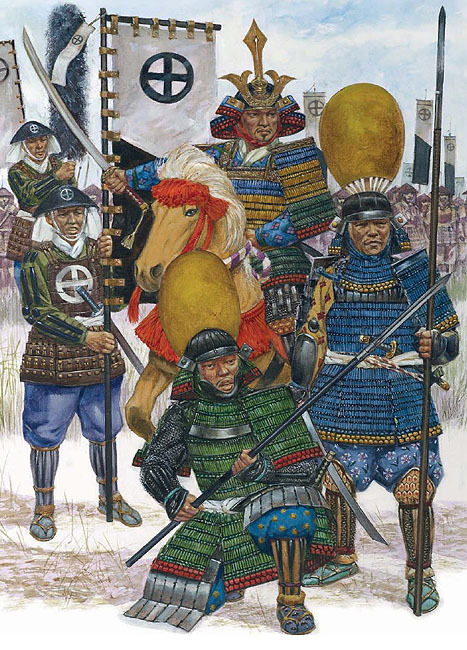 So there it was…Takahisa’s second son, the indomitable Shimazu Yoshihiro leading three-hundred Shimazu soldiers on the Osumi side of the Kizakihara and Ito Sukeyasu commanding three-thousand soldiers on the Hyuga side of the field. Now for your own reference if you’re planning on looking up more information on the battle, it is sometimes called Kizakibaru – same characters in Japanese, just different way to pronounce them. So on the fields of Kizakihara we have the Shimazu outnumbered ten to one. Yoshihiro is somehow able to convince the Ito forces that they have a larger army than they really do. 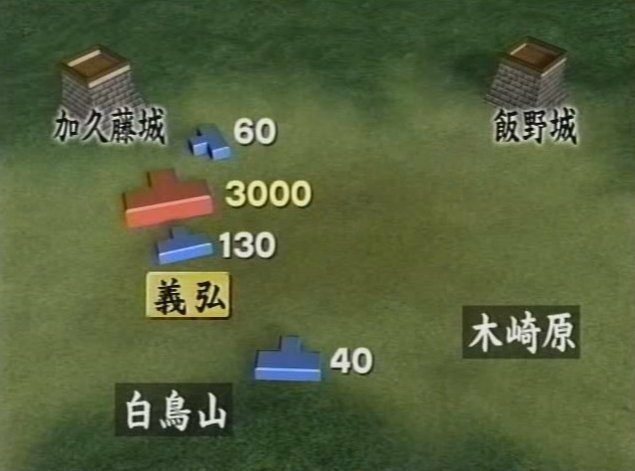 One unit assembled of about 60 men reinforced Kakuto fort, while another unit of 40 gunners took a position behind the Ito army some distance away from the fighting. They laid in wait. Yoshihiro then led the majority of his forces, around 130 men, around Sukeyasu’s formation and attacked him from behind. Yoshihiro proved himself a brave commander in the fighting, but when Sukeyasu turned his army around and put the brunt of his significant numbers against the Shimazu, Yoshihiro called for a retreat. Sukeyasu, seeing victory within his grasp, chased Yoshihiro’s army. As Sukeyasu’s army was just about to catch up to Yoshihiro’s forces, the arquebusiers opened fire into Sukeyasu’s forces, throwing them into disarray. I imagine Ito Sukeyasu looking far more confused than he does in this artist’s rendition. The pursuit was finished. But Yoshihiro was quick to turn his main force around and charge into Sukeyasu’s confused army. Before Sukeyasu could get his army coordinated enough to wage a proper counter offensive to Yoshihiro’s…originally counteroffensive, the forces sent to reinforce Kakuto fort rushed out and attacked Sukeyasu from an unprotected flank. Sukeyasu, though outnumbering the Shimazu forces badly, was now engaged on three flanks. Yoshihiro is a pretty impressive commander, I must say, to have surrounded a force ten times his size. In the process his army actually manages to overtake the Ito command center, killing several prominent Ito generals; including Ito Sukeyasu, himself. Instructions: How to surround 3,000 soldiers with only 300 of your own. In the end the Ito army was routed and fled back to Yoshisuke in utter defeat. The Ito clan would never again reclaim their lost prosperity. Within two years the Shimazu would subjugate the Nejime, a branch of the Kimotsuki, and forced the Sagara to remain on the defensive. Shimazu Yoshihiro would take the opportunity to actually recapture some of the Ito-held lands. Yoshisuke would be defeated again by the Shimazu at Takabaru in 1576 and then again at Tozaki-Kamiya the year after that. In the end the Shimazu would conquer the Ito and Yoshisuke would while away the rest of his life in Kyoto, eventually dying in the city of Sakai in 1585. His younger son, Ito Suketaka would join the Toyotomi and have a small amount of the Ito lands in Hyuga province restored after the Shimazu’s defeat in the 1580s; but they would never again see the heights they achieved before their unexpected loss to the numerically inferior Shimazu forces at Kyushu’s Okehazama…Kizakihara. A topic I’ve brought up a handful of times is the court rank and title of various samurai. Akechi Hidemitsu is most often known as Samanosuke, Takayama Shigetomo is usually known as Ukon, and Yamamoto Haruyuki is usually referred by his court title of Kansuke. So what exactly are these court titles and why did all these samurai have them? Well, today we’re going to take a very basic look at Japanese court titles and examine how they worked and what they meant. And the answer is…they often meant nothing. But we’ll get to that closer to the end of today’s discussion on Japanese Court Titles. So the first thing to note is that the Japanese Imperial Court went through several different incarnations as far as rank structure, what ranks meant, and how ranks were signified. In the early days the system strongly mimicked the Chinese style in a form known as Kan’i where each position correlated to a particular rank and that rank was noted by wearing a different colored cap. However eventually this was replaced by wearing different colored clothing when at court. Now without getting caught up in the drudgery of a century of Asuka-Nara minor and major political changes, let’s look at the system instituted during the reign of Emperor Mommu in the early 8th century. The divisions of court ranks at this time were divided into princely ranks and official ranks, that is ranks for officials within the empire. Rarely will we be dealing with princely ranks, because for most of what we’re dealing with just know that those would be for the Imperial family and the like. They came in four levels: Ippon, Nihon, Sanbon, and Yonhon – that is First, Second, Third, and – you guessed it – Fourth. The official ranks were set up in a similar fashion classed from highest to lowest as Ichi’i, Ni’i, San’i, Shi’i, Go’i, Roku’i, Shichi’i, Hachi’i, and Sho’i. The lingering ‘I’ sound on all of those the character ‘I’ which simply means rank. 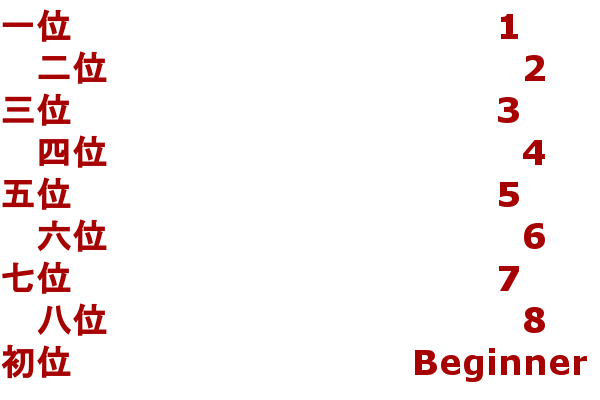 So from high to low that equates to First, Second, Third, Fourth, Fifth, Sixth, Seventh, Eighth, and Beginner Ranks. The first second and third ranks were also split into two parts: Senior and Junior. So that means that you had ranks like Shoni’i, Senior Second Rank and Jusan’i, Junior Third Rank. Ranks within the spectrum of fourth through eighth were even split into four subsections: High Senior, Low Senior, High Junior, and finally Low Junior. Can you imagine being made High Junior Sixth Rank? You’d have to introduce yourself as Juroku’i-ju. Now I’ve just told you all of that to tell you not to worry about it much. Rarely will you see someone actually referring to themselves as Oda Shoichi’i Nobunaga. And not just because he had been dead for over three hundred years before the court posthumously awarded him the right of Senior First Rank. No what you always hear are actually the opposite of these things. What we’ve just talked about were Court Ranks, but things like Samanosuke and Ukon were Court Titles. These titles equated to jobs within the Imperial Court…although by the time of the Sengoku period and beyond really very few of the people who held those ranks probably actually did the jobs inherent of that position. For instance the Ii family held the post of Kamon no-kami which can be translated as Director of the Palatial Cleaning Department or…Captain of the Janitors. Did he actually command the palace’s cleaning crews on a day-to-day basis? No, he was busy running Hikone-han. But that doesn’t necessarily mean it was beneath Lord Ii to sign his name Ii Kamon no-kami Naosuke. It was an honor to be given a post within the Imperial Court and one that many samurai wore as a badge of honor and pride. Remember that through most of the Japanese civil wars it was still ostensibly ‘fact’ that the Emperor was divine. The wars to become Shogun was essentially Head Samurai, but on paper they were still subservient to the Emperor; kind of like being Prime Minister of a monarchy. On paper the King is the highest authority in the land, but really the Prime Minister runs the government. Now as I said – each title was basically a post in the Imperial Court and was associated with a particular court rank. Hence why I bothered to tell you anything about that court rank. So you could be given the rank of Shugoku no Jou, or Secretary of the Prisons, only if you had the equivalent court rank of Senior Eighth Rank. So if somebody wanted to then promote you to Assistant Director of the Department of Poetry, or the Uta no-suke, you would generally have to be promoted to the court rank of Senior Sixth Rank. That is not to say that in rare occasions it didn’t work without the dual promotion, but generally how it would work is you would be given a Court Rank and that would allow you to hold a position within that rank which you could hope to be given. If you did something meritorious and earned yourself a promotion to a higher court rank, you may be given a nicer title. So lets take a look at Akechi Hidemitsu’s title…and that is not to say he was the only one known by this title. Many samurai were known to have held by the title of Samanosuke. 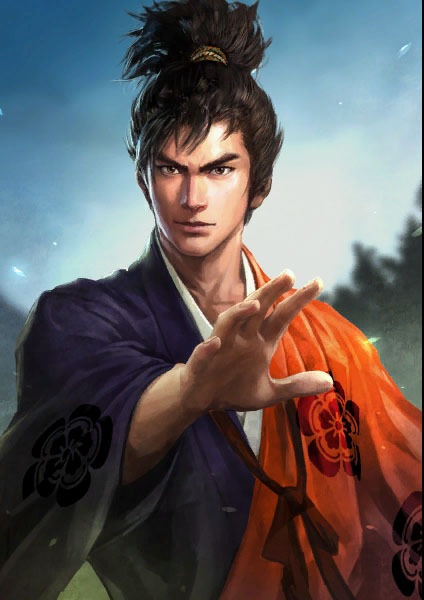 Samanosuke can be translated several ways such as…Vice-Commander of the Left Stables, Lieutenant of the Left Cavalry Division, or Deputy Director of the Left Stable Department. Literally it comes out to mean Assistant Head of the Left Horses. So we can assume that Hidemitsu held the court rank of Senior Sixth Rank, since that is the equivalent post within the court. Yamamoto Haruyuki, was known by the title of Kansuke; which near as I can tell means he was an Advisor. Kansuke translates as Giving Aid, formed of the characters Kan and Suke which mean Intuition or Perception and Assistant, respectively. So an Assistant of Intuition…or an Advisor. Takayama Shigetomo was known as Ukon this means that he held a rank in the Ukan’e, the Palace Guards-Right Division. I don’t know his formal rank in the department, but that was the department his rank came from. 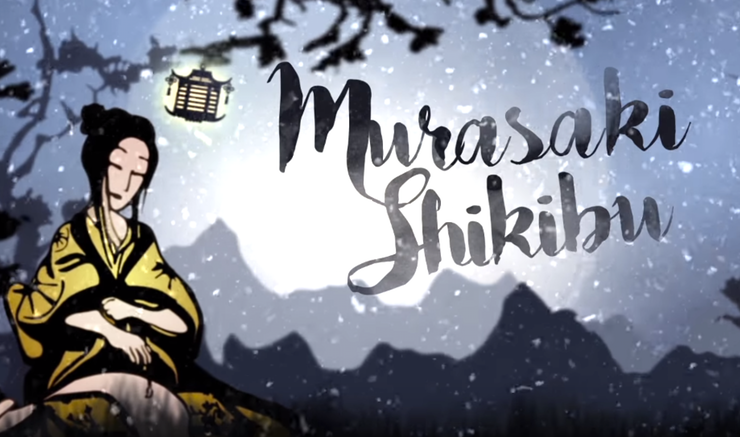 The prolific writer, Murasaki Shikibu gets her name from her father’s position within the Imperial Court: Shikibu no Daijo. Shikibu no Daijo means Senior Secretary of the Department of Ceremonies and in all likelihood he would signed his name as Fujiwara Shikibu no Daijo Tametomo. At one point in his life the aforementioned Nobunaga was known as Oda Kazusa no-suke Nobunaga, or Lieutenant Governor of Kazusa Province. 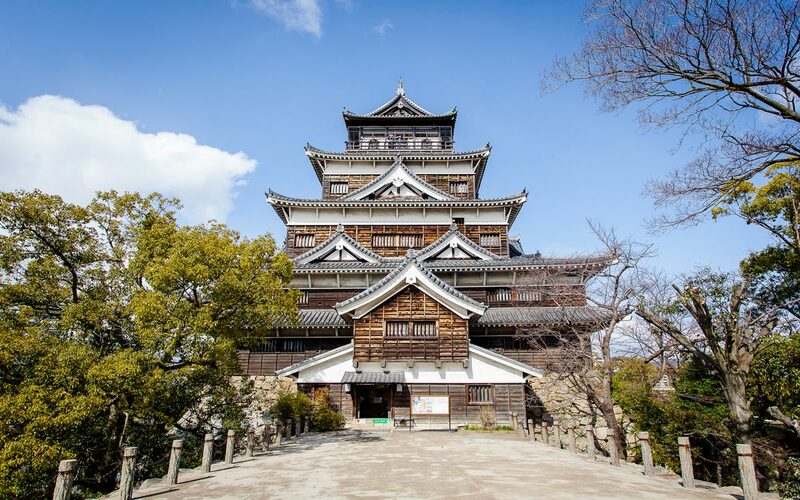 Proving that court titles really meant nothing…Nobunaga did not rule over Kazusa at any point in his life – as a matter of fact, it is unlikely he ever set foot in the province. Similarly Nabeshima Naoshige held the court title of Echizen no-Kami, however that province was ruled by the Maeda family. Naoshige was a Ryuzoji retainer who defected to the Toyotomi when Hideyoshi came aboard Kyushu and was eventually given much of their territory for himself. The Ryuzoji lands were on the other side of the country from Echizen so its unlikely he ever even went there for a visit, even less likely he ran anything in the province. But he was still considered to be the governor of that province by the Imperial Court, which by this point in time had no real power to its name. So hopefully that helps you to better understand a bit about the Imperial Ranks and Titles that we throw around all the time. If you have any questions on a particular rank or title…or you just want to know more about court ranks and titles in general, let us know in the comments. You can also check out our last video which was answering a viewer question on how Japanese swords were made or check out the playlist of all of our other videos. So today we’re going to do a neat little thing and use this video to explain the process, in simplified terms, of Japanese sword-making. Now as a caveat, we’re going to talk about traditional manufacturing. If you’ve ever seen modern sword-making it is not very interesting. A bunch of sweaty Chinese men pull hot pieces of rebar out of a foundry and run it under an auto-hammer until they’re flat. So the first thing we need to discuss is Tamahagane. Tamahagane literally translates as “Round Steel”, but figuratively it means gem-like steel. A common misconception is that Japanese steel is of exceedingly high quality, but in reality Japanese steel is very low quality. 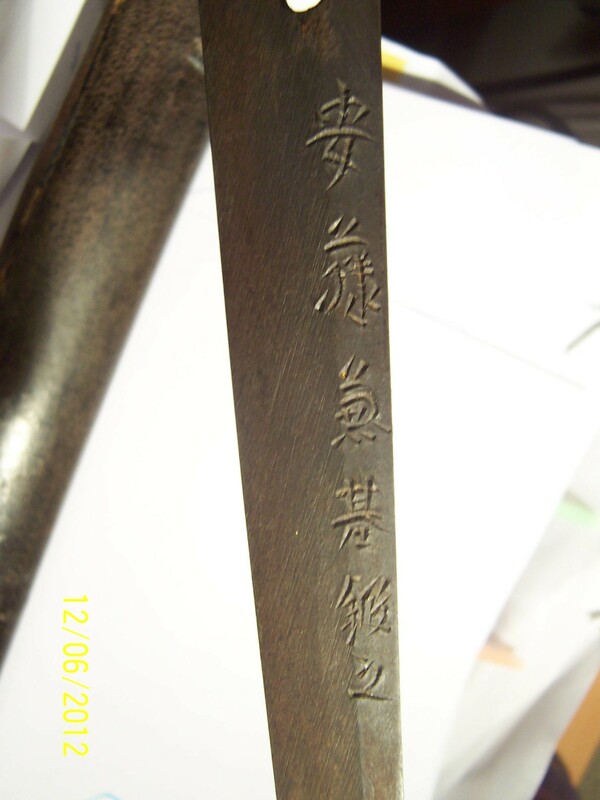 Unlike most European swords which were made by producing pig iron and then refining it and creating steel through that process Japanese steel is made from very low-quality magnetite iron sands, called satetsu. 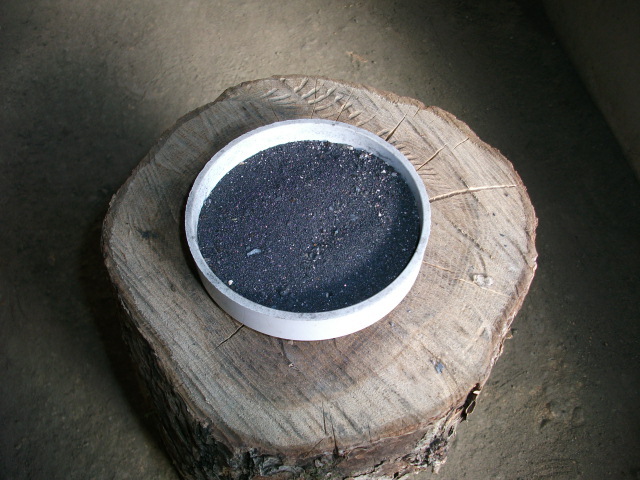 The satetsu is traditionally placed into a clay tub, called a tatara, and then mixed with a source of carbon, traditionally charcoal. 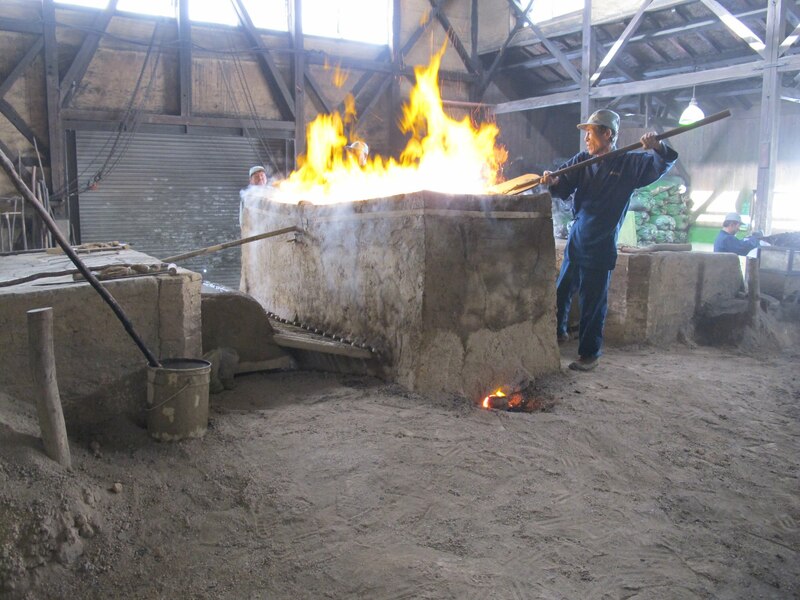 However I have seen in modern times even traditional swordmakers using a large metallic foundry wherein the iron sands and charcoal are dumped into the top and the resulting tamahagane is pulled out from the bottom. So the myth is that katana are so strong because they’re two, or even sometimes three, different types of steel folded multiple times over to create a steel-layered weapon. The truth is that Tamahagane is actually still a fairly low-quality steel. That is why the folding of multiples types of steel is done. Not because it makes Japanese swords the greatest steel, but because without it Japanese swords would be complete junk. Before the age of katana the Japanese made swords more in line with the old Chinese style, the Tsurugi being the basic type of Japanese sword during the pre-Heian periods. Even in Heian periods the de facto samurai piece was the Tachi, a sword designed for use from horseback. The katana derives from this Tachi style, but it is still different in ways. Length, the way it is worn, the way it is used, etc. It was during the Heian period that the katana first started to really become popular and then by the Muromachi period they were the standard side-arm of the samurai. But back to how they’re made. You see the swordsmith takes the Tamahagane and separates it into two, or as I said sometimes three, distinct types. These types would be Hagane – hard steel, Shigane – soft steel, and the third type is Kawagane – medium steel. So the lowest and cheapest swords would just have Hagane steel, folded a few times, and forged into a sword. This would be a junk blade for a peasant person or for a simple knife. Or more modern wall-hanger swords are said to be done in this style – hence why you really shouldn’t use the modern rat-steel blades for cutting purposes. The steel could be layered in numerous different ways and each smith could be different in how big of a medium piece he used, how thick of a hard layer, whether the softer Shigane was placed on the sides of the blade, and so on. In the end what you get is a bunch of hard steel, which retains its shape and holds an edge well, wrapped around a softer core center, which allows for flexibility and durability. These types of steel are then forge-welded together creating a compromise of sorts between the multiple types of steel. The edge is not so hard and sharp as an all-hard steel blade, but it also won’t shatter the first time you swing it. Likewise it is not so durable as an all-soft steel blade, but you’ll actually be able to use it to cut something. So, now that we’ve got that out of the way…let’s go onto the next step. 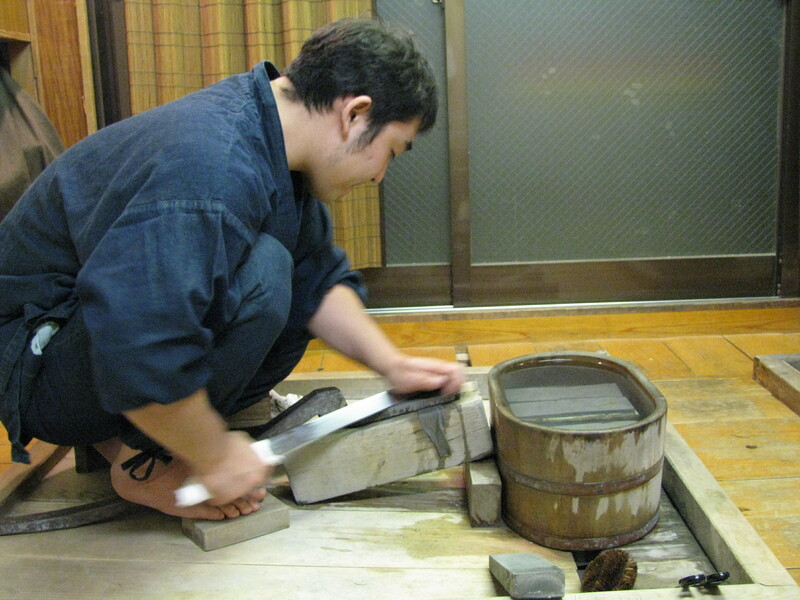 After the various pieces of Tamahagane are forged together the smith would then coat the blade in clay mud. He would use different thicknesses and mixtures of mud before performing the quenching process. This is a big part of why the katana is shaped as it is. 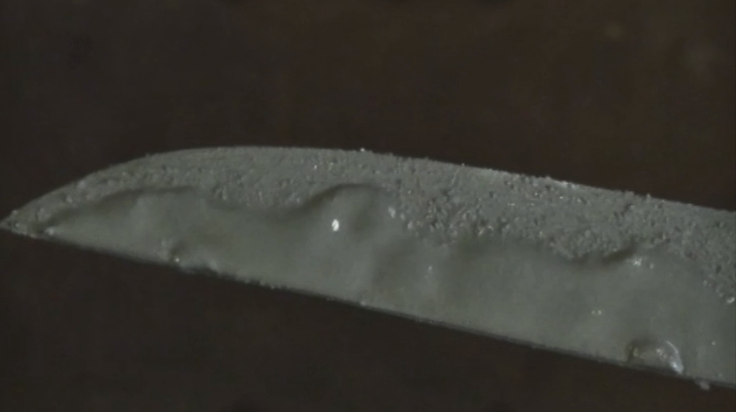 The back of the blade has a different clay on it than the front, causing the molecules of steel to react differently on the front of the blade than to the back. The clay-coated quenching process also creates the wavy line on the blade, called the Hamon. 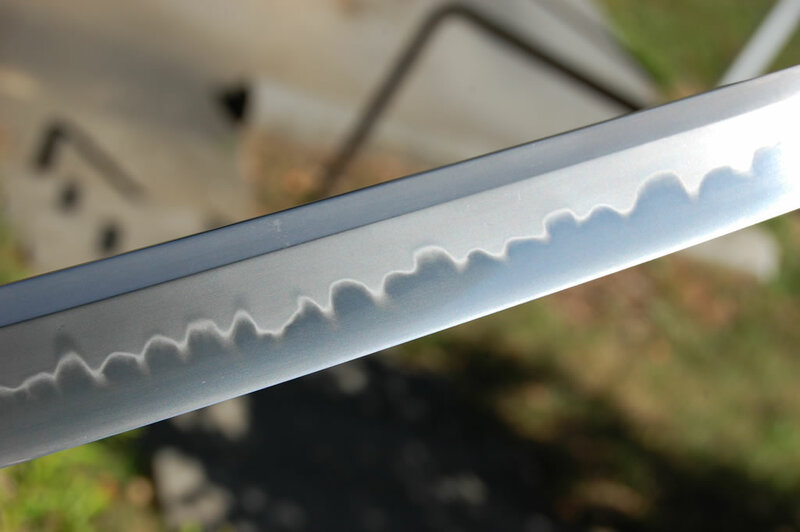 Hamon – wave pattern on blade. Once the forging and quenching is complete the blade would then be signed, by chiseling the smith’s signature into the tang of the blade. With the tang signed, the blade is then polished using whetstones of varying degrees of coarseness. Eventually you wind up with the beautiful, brightly shimmering, katana. So, like I said, this was a question submitted to us by Javacentral. If you want to see what they’re up to, they’ve got an interesting video on coffee in Japan which we have the link to. Check them out and don’t forget to subscribe for more Samurai Gaiden. I imagine by this point anyone with an interest in Japanese history has probably heard of the Chushingura – the tale of the 47 Ronin. The macguffin of the story is that Asano Naganori, the Lord of Ako, breaks the law and is punished and his retainers murder the man who offended Asano and caused him to break the law. Well…we’re not talking about that today; that was just the elephant in the room we had to address because we are going to be talking about Naganori’s cousin…Asano Nagaakira. 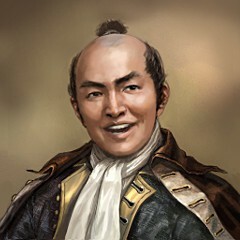 Nagaakira was the son of Asano Nagamasa. 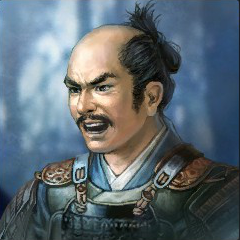 Nagamasa was one of Toyotomi Hideyoshi’s higher retainers – what with being brother-in-law to Hideyoshi’s wife and all. He served in many of Toyotomi’s battles and even acted as the mediator to Tokugawa Ieyasu during the end of Komaki campaign. Following Toyotomi’s victory over the Hojo at Odawara, Nagamasa was given control over Fuchu in Kofu province, worth some two-hundred thousand koku. 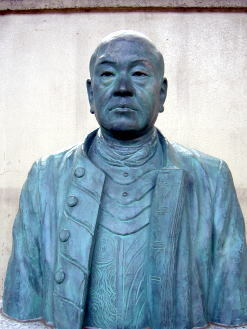 Nagamasa was accompanied to Odawara by his eldest son, Asano Yukinaga – also known as Yoshinaga. They both also fought in the Korean campaigns for Toyotomi, serving under Kato Kiyomasa during the siege at Ulsan. In 1598 he was named as the senior-most member of the Go-Bugyo, the 5 Administrators of Japan tasked with keeping the government working efficiently after Toyotomi Hideyoshi’s death. Not to be confused with the 5 Regents, of course, he was step down from there. Lo and behold, however, that two years later when things came to a head between Toyotomi’s son, Hideyori, and Tokugawa…both of Nagamasa’s son joined Tokugawa. This may have had something to do with the fact that the elder son, Yukinaga, narrowly avoided being implicated – and subsequently executed – in the controversy surrounding Hideyoshi’s relative and one-time heir, Toyotomi Hidetsugu. And who saved Yukinaga? Well it was actually Maeda Toshiie, however I’m sure that nearly getting executed for being friendly acquaintances with your master’s nephew-in-law is not something that really brings you around to the master’s infant son. Another point of conflict was supposedly the fact that Nagamasa was not exactly on friendly terms with Ishida Mitsunari. 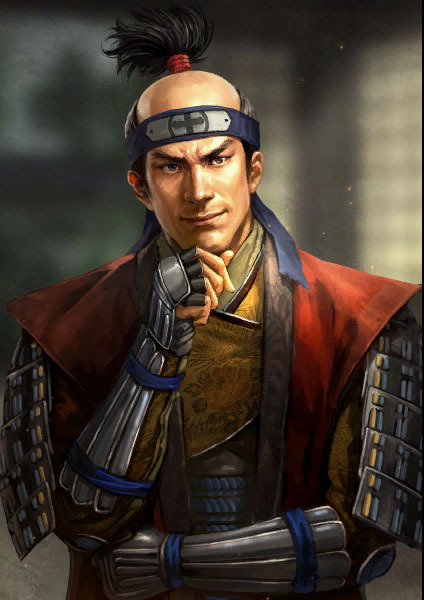 Nagamasa apparently believes the war in Korea had been going well when he was sent there, while Mitsunari believed it was going poorly and advised recalling the troops. During the battle of Sekigahara, Yukinaga commanded troops on Tokugawa’s side, leading a sizable force of 6,500 troops in the battle. Nagaakira was also present under Yukinaga’s campaign and while Yukinaga was awarded lordship over Wakayama domain in Wakasa province. Nagaakira was then made a page for Tokugawa Ieyasu’s son and heir, Tokugawa Hidetada. Nagaakira ruled his eventual domain from here – Hiroshima Castle. Apparently one of the daimyo of the pro-Toyotomi ‘Western Army’, Hideyoshi’s half-brother, Kinoshita Iesada was moved from his 40,000 koku domain of Himeji in Harima and given control of the smaller domain of Ashimori in Bitchu province – worth a little more than half his old domain, 24,000 koku. What does Iesada have to do with Nagaakira? Well you see, first of all Iesada was of the defeated side, but Tokugawa Ieyasu respected the valorous deeds that Iesada committed while fighting him and so he was rewarded with only having his domain reduced, rather than being totally removed. However Iesada died somewhere between 1603 and 1610 – several sources had different lifespans listed. It seems that Iesada’s son, Kagetoshi, who had been totally removed from his previous domain, was accused of treason and the Shogunate refused to let him or Iesada’s younger sons inherit the realm. Ashimori was then given to Asano Nagaakira, making him a daimyo in his own right, now. Fast forward a mere three years when the elder son, Yukinaga, dies without an heir. Nagaakira, who now has some pretty potent connections – being Tokugawa Hidetada’s former page, being liked by Ieyasu…oh and did I mention he married Tokugawa Furihime – Ieyasu’s granddaughter, making him Ieyasu’s grandson-in-law. I’m sure you can see where this is going…Nagaakira is made Yukinaga’s heir and he inherits the entire domain of his late brother. So when the Toyotomi were causing trouble again and everything was leading up to the the eventual Siege of Osaka it makes sense that the pro-Toyotomi folks came after the Asano clan to get its support. Of course Nagaakira has no reason to join them – sure his father was one of Hideyoshi’s favorites, but he has ascended to great heights under the Tokugawa shogunate. He’s even married into the shogunal family. So why would the Toyotomi even bother coming to him for support? Well, one thing I may have neglected to mentioned earlier is that…Yukinaga, his brother, died under suspicious circumstances. And the suspected leader of the ‘let’s kill Yukinaga‘ conspiracy? 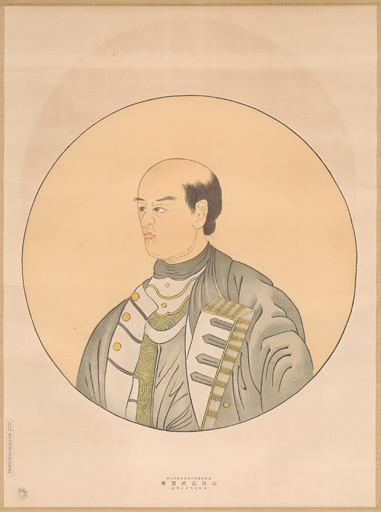 Tokugawa Ieyasu. So needless to say, on the outside it looked like relations may have been strained between the Tokugawa and the Asano. I’ve read that Yukinaga’s official cause of death was kidney failure, however the official records were later changed to suggest he died of complications due to syphilis – apparently caused by his habit of amorous relations. Although I don’t know for sure if those were contemporary records or more modern records, the source was vague and…not a fully reliable one, to be fair. The Battle of Kashii was part of the battles involved in the Siege of Osaka. Of course, as anti-climactic as it may seem, Nagaakira remained loyal to the Tokugawa and took part in the Siege of Osaka. His forces were also the main defenders of the Battle of Kashii, which was the first battle of the Osaka Summer campaign. 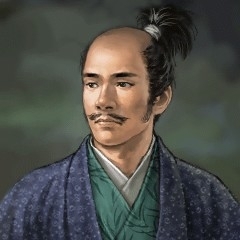 In the battle Toyotomi-loyalist Ono Harunaga led a force of three-thousand to besiege Wakayama castle…Nagaakira’s home. Nagaakira was apparently able to determine that Harunaga only had three-thousand troops, while Nagaakira had five-thousand. So Nagaakira engaged the besiegers in the field near Kashii and, after killing two of Harunaga’s lieutenants in battle, the Asano army forced the Toyotomi loyalists to retreat. During the actual siege of Osaka, Nagaakira participated in the Tokugawa force’s rearguard. Apparently throughout the campaign Nagaakira claimed to have taken 44 heads during the combined two years of battles. After the completion of the Osaka campaign for his valor and loyalty Nagaakira was moved to Hiroshima domain in Aki province, worth a grand total of about 426,000 koku. You know…after it was removed from Fukushima Masanori’s control in 1619. 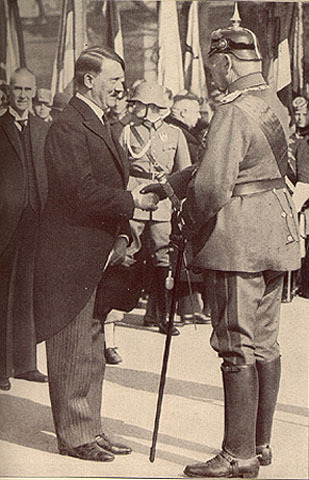 Hitler receiving the Chancellorship from President Hindenberg. 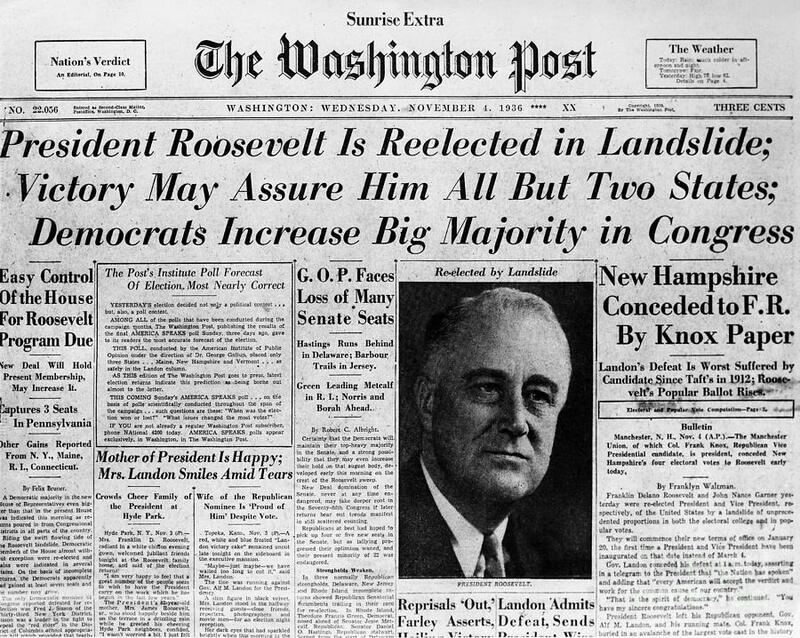 FDR won his second term in a landslide 523-8 in 1936.
in the country, Tokugawa family not included. His family remained as the lords of Hiroshima for a total of twelve generations, until the domain was dismantled as part of the Meji Restoration at which point Nagaakira’s descendant – Asano Nagakoto – was named a Marquis and served as a member of Chamber of Elders and ambassador to Italy. 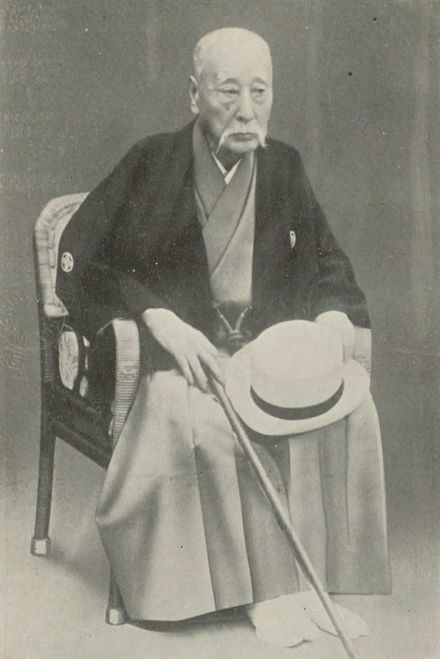 Nagakoto was one of the last daimyo of Japan to die, living to the age of 96 and passing away in the year 1937. A man who ruled as a samurai daimyo lived to see Adolf Hitler elected Chancellor of Germany and FDR win a landslide victory for his second term in office. And it all started with Asano Nagaakira succeeding his brother as Lord of Hiroshima and keeping loyal to his grandfather-in-law. Aaah, the sweet smell of a rose. Well, okay actually this one is made from brass and the perfume that was on it when I bought it has since faded. But February is still the month of love, with Valentine’s Day coming in about a week and a half. Oh, don’t give me that look…yeah it was kind of a cheap trick to do the story of Tadaoki and Garasha last year, but this time I’m going to do a legit Valentine’s day episode. And I figure…what better Valentine’s topic than…Valentine’s Day in Japan. Valentine’s Day made its way to Japan in the late 1930s and it was actually marketed to Foreigners living in Japan. It wasn’t until the 1960s that an actual ‘tradition’ began to develop within the modern Japanese culture. Valentine’s Day in Japan is a little bit different than here in America. Instead of men going out and buying their wives chocolate, cards, stuffed animals, and taking the ladies out on a fancy dates…in Japan it is the women who give chocolate to the men in their lives. And not just their spouses. First of all it is basically just chocolate, the cards, stuffed animals and the like aren’t nearly as prominent in Japan. After the Christmas holiday has ended stores will start displaying raw chocolate and chocolate making kits – the idea being that the ladies are supposed to make their own chocolate, rather than just buy store-bought candy. Secondly the chocolate is doled out to the people in the lady’s life in one of three styles: Giri-choco, honmei-choco, or the less popular tomo-choco. Giri-Choco means Obligation Chocolate. It is given by women to their male peers – coworkers, fellow students, etc. Honmei-choco is the True Feeling Chocolate or Favorite Chocolate. It is given by women to their spouses, boyfriends, or perhaps to a crush to show that they like him. Finally, Tomo-Choco is Friendly Chocolate. It is supposed to be given from one girl to another to express a deep friendship and appreciation between the two ladies. I’ve read that there was an attempt to get men to buy Marshmallows for the ladies who gave them chocolates, but it didn’t become very popular. In the 1980s the Japanese started to celebrate White Day, where men were supposed to return the favor by giving gifts to the ladies who gave them chocolate – Giri or Honmei – and on top of that it is considered unseemly to give a gift less than double the value of the chocolate. Generally the men will either buy or make a chocolate dish for the women, usually out of white chocolate, hence the name of the day where men return the favor is called White Day. It is also acceptable for men to buy the ladies small gifts such as flowers, other types or candy, or just something neat…probably jewelry. In America, as I said before, Valentine’s Day is often a day for big, fancy dates. But that is actually usually a part of the Christmas celebrations in Japan and Valentine’s Day is usually just an exchange of chocolate. 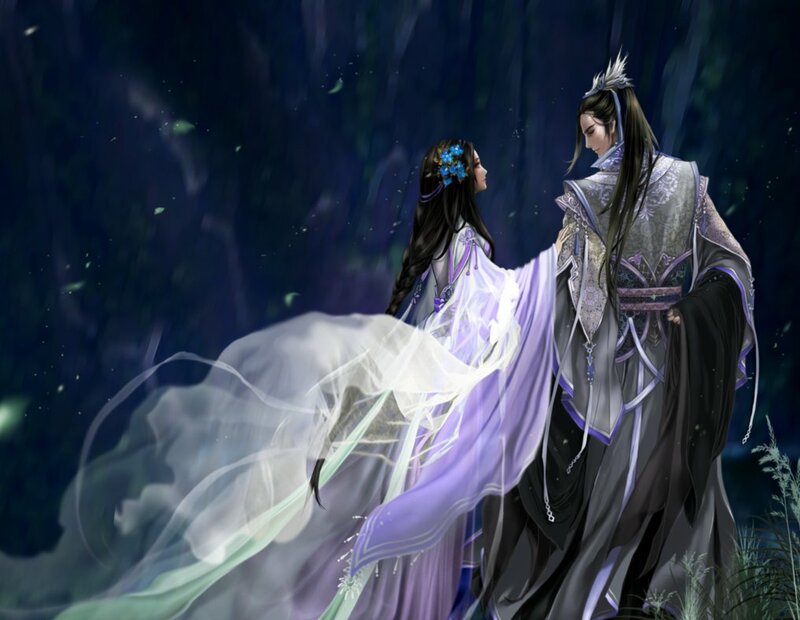 Now a similar day occurs in July during the Tanabata festival, which is based on an old Chinese festival called the Qixi Jie or Festival of the Two Sevens. 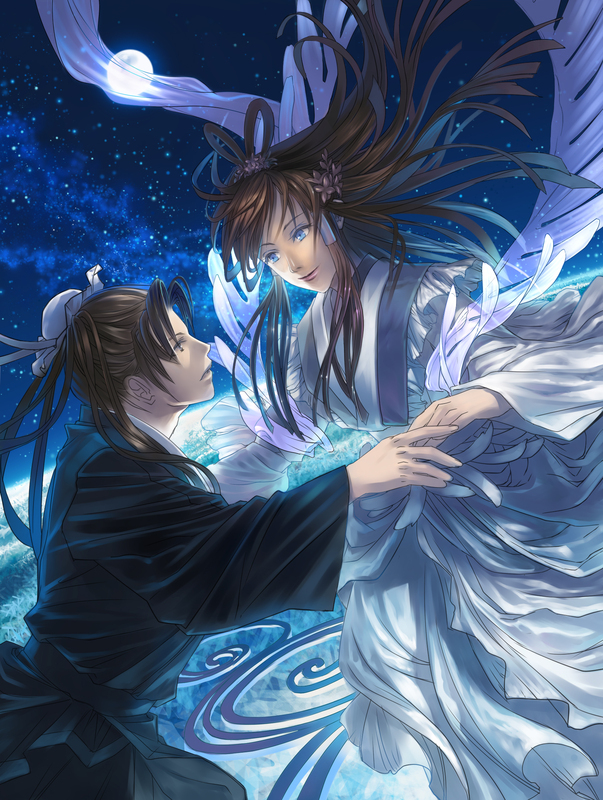 Tanabata is just the Japanese pronunciation for Qixi, of course. In the Heian period Empress Kokken adopted part of the Qixi Festival’s idea and created the Kikkoden or Festival to Plead for Skills. Although interestingly enough you can apparently translate that in a more literal fashion to wind up with Festival of the Begging Craftsman. Anyway, the idea was that you would write little wishes on a piece of paper and offer them up to the Shinto deities – the idea being to ask for help or luck in improving your skills. Generally ladies asked for improvement in sewing or cooking and men asked for improvement in the manliest of skills…penmanship. Which creates an interest paradox. If your penmanship is so bad the deities can’t read it…will they still help you or not? 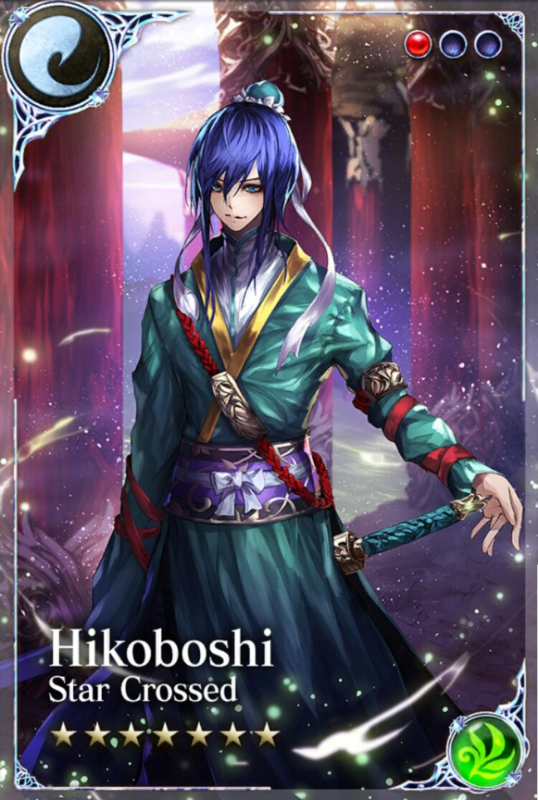 He’s only a swordsman in Age of Ishtaria. Weaver and the Herdsman, Orihime and Hikoboshi. In the story the Weaver is the daughter of the sky king and was tasked with creating heavenly fabric every day of her life, on the banks of the Amanogawa – the Heavenly River. Amanogawa is, of course, a euphemism for the Milky Way. The Sky King realizes that his daughter is sad and she explains that because all she does is work on the river’s edge, she can never find anyone to fall in love with and marry. The Sky King introduces her to the herdsman, Hikoboshi, who kept his herd on the other side of the river. Orihime and Hikoboshi fall in love at first meeting and get married. Shortly thereafter the Sky King realizes that Orihime is spending all her time with Hikoboshi and has stopped producing the heavenly fabric. At the same time, Hikoboshi’s herd is left to wander all over heaven on their own with no herdsman to command them. The Sky King angrily separates the two lovers, sending Hikoboshi back to his own side of the river and forbidding them to see each other any longer. Orihime was despondent at the loss of her love, though, and begged her father to let her see Hikoboshi, again. The Sky King eventually relented and made a caveat – if Orihime produced lots of heavenly fabric for him, then she could meet Hikoboshi once a year, on the 7th day of the 7th month, hence Festival of the Two Sevens. Orihime did as was expected of her, but on the 7th day of the 7th month when she went to the river to meet with Hikoboshi she found that her father had removed the bridge – possibly when he first forbade them from meeting. So she could not cross to Hikoboshi’s side and he could not cross to hers. Orihime dropped to her knees on the bank of the Heavenly River and cried so hard that a flock of Magpies were moved by her sorrow and rose to the heavens, promising to carry her across the river. They formed a living bridge so that Orihime could walk across the river and meet with Hikoboshi. So once a year the, literally star-crossed lovers, are able to meet. And the myth goes that…if it rains on Tanabata Day it is because the magpies were unable to form the bridge and it is the lovers’ tears at being forced to wait another year to meet. Well…that was, only slightly less depressing than Tadaoki and Garasha’s story. At least no one died in it. Although I’ve gotta say I would be a might bit tempted to throw the Sky King in the river and drown him if I was Orihime. But alas, Tanabata is certainly a more touching story to found your own version of Valentine’s Day rather than the modern interpretation of the holiday which is…basically to keep candy companies in business. A few months ago in America we had an election for a new President. The election basically boiled down to a contest between two factions, each supporting a chosen candidate. Voters essentially had to choose between two wealthy bourgeoisie financial people with a history of racist remarks, a lack of understanding for the common man, and accusations of political corruption. And each of their factions were headed up by moneyed interests – other wealthy bourgeoisie – who cared only about their own interests over that of the country as a whole. You know what that kind of reminds me of? The Onin War. You know, the war that arguably began the Sengoku Period where the Yamana and Hosokawa clans openly fought against each other and brought destruction to the capital. But where did it all begin? The difference between the American election and the Onin War are that…in America we voted with ballots and in Japan they voted with spears and arrows. But like everything in life it all started with a woman, as life is wont to do. And that woman in particular was Hino Tomiko. Tomiko was the daughter of Hino Shigemasa. Shigemasa was Naidaijin during the reign of Shogun Ashikaga Yoshimasa. The Hino clan, at the time, was a strong kuge family. It was arranged that Tomiko would marry the Shogun and so she became his wife at the age of 16, because that’s how political marriage works. Four years after the marriage, Tomiko gave birth to her first child. Unfortunately the child died later that day. Tomiko, not wanting to be ostracized as infertile or anything and replaced as the Shogun’s wife decided to blame the child’s death on the wet-nurse, Imaimari no Tsubone. Tsubone was exiled to Oki island, upon lake Biwa, and she committed suicide before arriving. Yoshimasa was a relatively lazy man, though, and really didn’t even want to be Shogun. He wanted to retire and make someone else rule for him. Since his son hadn’t survived infancy he decided to name his younger brother Yoshimi as his heir. The idea was that Yoshimi would be taken under Yoshimasa’s wing and would eventually ascend to the position of Shogun. 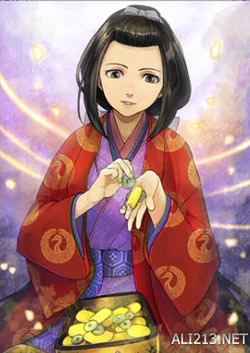 Tomiko did not like this idea, she wanted to be the wife of the Shogun and the mother to the next Shogun. Unfortunately being the mother of no one, meant that she had little say in her husband’s plans. That is until a year after Yoshimasa had already put his plan in motion when Tomiko gave birth to a fancy new son. 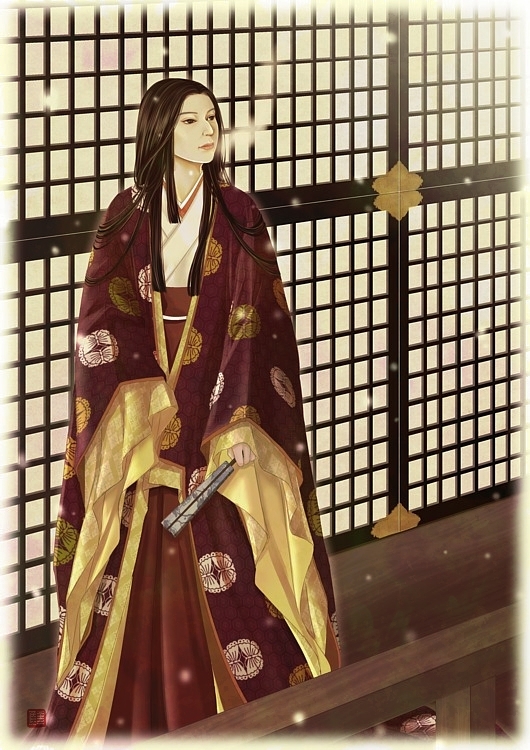 She pushed for Yoshimasa to halt his plan to enthrone his brother, and instead name their newly minted son as heir. This caused factions to form within the capital. Yoshimi – the brother – was backed by the very powerful Hosokawa clan, while the young son – eventually named Yoshihisa – was naturally backed by Tomiko’s family, the Hino clan and also the strong Yamana family. And thus we have the McGuffin for the Onin War. Eventually things degraded between the Yamana and Hosokawa to the point of all-out war, destroying much of the capital and setting up what eventually became the Sengoku Period. The Onin War is often cited as the straw that broke the camel’s back and led the way for the Sengoku Period to begin. It showed that the Ashikaga Shogunate no longer had any of the real authority they once had and that they couldn’t control their underlings: The samurai daimyo of the outer provinces. And one could argue that it was all caused by an ambitious woman who wanted her son to be ruler of the nation. That woman was Hino Tomiko. One could also argue it was all caused by a lazy man, but this month’s story was about Tomiko so I ended on her name, instead of Yoshimasa’s. If you’d like to hear more about the finer details of the Onin War, then let us know in the comments. 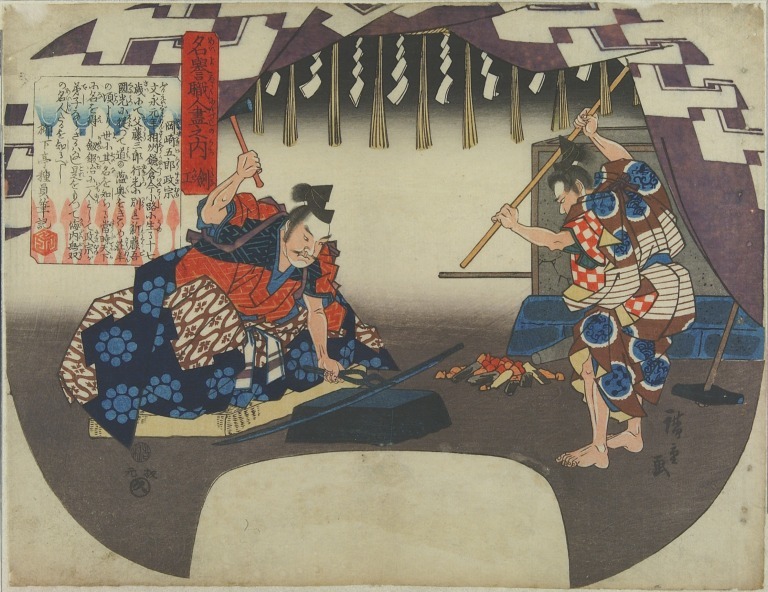 If there’s anything else samurai-related you’d like to learn about, let us know that, too. We hope this will help to be more productive and enjoyable to all our fans! Okay, so you might have noticed we’ve made some changes to our format. A little crisper, a little cleaner perhaps? Well maybe we should try a new topic as well? Maybe something Heian? No, no, we’ve done Heian for the past several months. Nara period? Well, we had Yorozu. What’s something we haven’t done, yet? Oh, I’ve got it! Let’s do something in the Edo period, how about that? And not just any samurai from the Edo period, but let’s actually leave Japan for it. Let’s talk about…Yamada Nizaemon Nagamasa. Yamada was born in the year 1590, the son of a knife-maker in the Tokugawa-controlled Sunpu domain. At the age of sixteen he got a job as a palanquin bearer for the Okubo clan of nearby Numazu domain. It seems that he held this position for about seven years before the daimyo of Numazu, Okubo Tadasuke, died without an heir. The Tokugawa Shogunate took control of Numazu and Yamada was forced to return to his homeland, now unemployed. Yamada’s father had died when he was a small boy and when he returned home he discovered that his mother had died while he was in Numazu and that his relatives sold their property and moved away without telling him. I suppose if your mother can die without you knowing, you’re probably not the kind of relative anyone would want to leave a forwarding address with. Regardless of the Yamada’s dysfunctional family situation, this left him unemployed and homeless. Yamada is said to have made his way to the port city of Sakai and taken up a position as a dockworker. At some point, apparently before the year 1612, he hopped aboard a ship and sailed to Thailand, at that point still known as the Kingdom of Siam. Japan and Siam had been allies and trading partners for many years at this point and had a thriving Japanese community in Ayutthaya. The head of the community was named Kiya Kyuzaemon and he took a liking to Yamada, taking the young man under his wing. Under Kiya’s tutelage Yamada learned Siamese and an unknown European language. He became involved in the lucrative deerskin trade of the region and it was around this time he changed his name to Yamada Nagamasa. Ayutthaya was economically prosperous, in part because King Songtham traded freely with the European trading companies of the Dutch, English, Spanish, and Portuguese as well as the Chinese, Malay, Vietnamese, and of course…the Japanese. 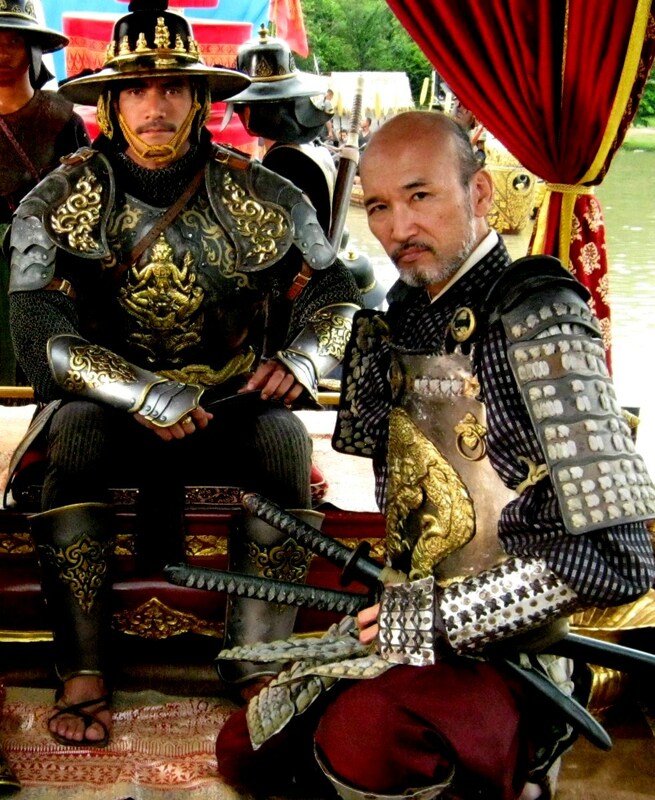 Part of the reason why the Japanese were so well tolerated within Ayutthaya were that King Songtham utilized them as a major component of his royal bodyguards. You see, many of the Japanese who moved to Siam were ronin. Samurai who had backed the wrong horse at Sekigahara, fired samurai who were unable to be rehired because of strict Tokugawa regulations on ronin, and retainers of confiscated domains – like Yamada. Yamada volunteered to fight alongside the Siamese troops in the north against a Burmese incursion. During the battle Yamada engaged the general of the Burmese army, defeating and killing the enemy commander. For this deed he was invited to the royal palace and granted a title of nobility. He eventually became commander of King Songtham’s Royal Guards and was permitted to control a monopoly on the deerskin trade and eventually even owned his own trade ship. When Kiya decided to leave Siam and return to Japan, he named Yamada as his successor. This happened sometime between 1619 and 1621, although it is unclear exactly when this occurred or exactly what happened to Kiya after his departure. It’s never really mentioned whether he converted to Christianity or not in the sources I read. So he either didn’t, or it wasn’t considered particularly important. Now as the head of Songtham’s royal guards and the head of the Japanese colony within Ayutthaya he sent word to the Tokugawa Shoguns several times in advance of formal Siamese embassies being sent. The Shogunate, curious who this man was, had him and his background investigated, and so he is recorded in formal Shogunate documentation at this point in history for the first time. Yamada was the Siamese royal court’s official representative to Japan, after all. 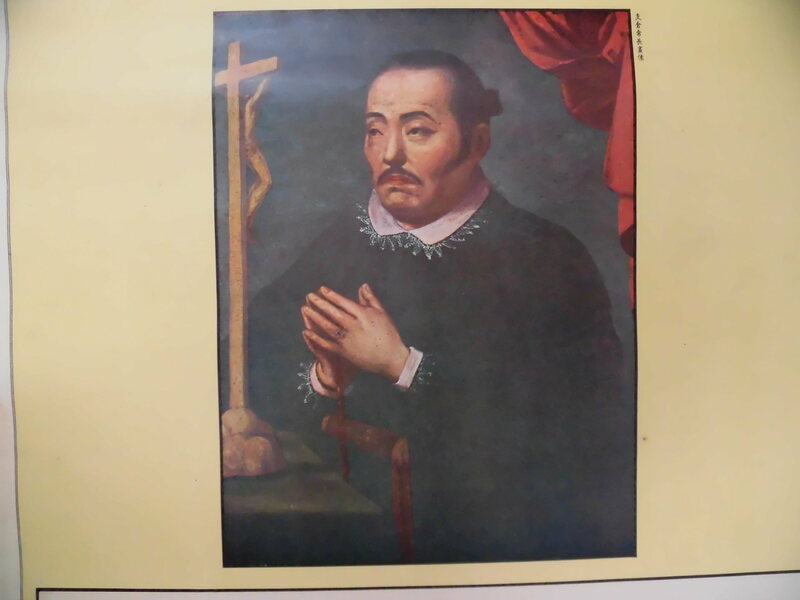 Between 1624 and 1629 Yamada sent several trade missions to Nagasaki, loaded with Siamese deerskin. He had wanted to receive a red seal for his ship, allowing him to trade with the Japanese, however it took over a year to get the ship approved. In this time he sent another load of deerskin on a Dutch ship and apparently made quite a profit. After he received the red seal of approval from the Japanese government he committed to a few more trade missions with Nagasaki. However he fell into a bit of an issue in 1627 when the Dutch fleet captured his ship and held it. However when the Dutch realized who the ship belonged to the local governor for the Dutch East India Company released the ship and awarded Yamada a trading license for the Dutch properties within Batavia. Yamada began a very profitable trade with the Dutch East India Company after this. King Songtham fell ill in the year 1628 and named his younger son, Chettha as his heir. Since Chettha was so young he also named his maternal cousin, Prasat Thom, and Yamada as regents for the boy. With Songtham’s death a power struggle ensued between the Prasat and Yamada backed Chettha and Songtham’s older son, Phra Srisin. Phra fled and took up the priesthood to escape being killed off. Prasat convinced Phra to return in his princely vestments and used it as an excuse to murder the man. Phra was arrested and thrown into a well to starve to death, however his supporters threw a corpse into the well and helped Phra escape. Yamada is supposed to be the guy on the right. Although Yamada died before he would have reached the age of that actor. Phra started a rebellion and Yamada, as head of the Royal Guards, was sent to put down the rebellion. Phra was captured and executed as a result. Within a relatively short while Chettha was on Prasat’s hit list as well. Prasat had become annoyed with the young king’s activities; for instance when Chettha’s mother died he held a state funeral for her. Prasat was annoyed that all of the government officials had gone to the funeral for the king’s mother and he wasn’t able to hold council and get any work done. This came to a head in 1629 when Prasat’s father died and he gave the man a state funeral of his own, going so far as to have his father’s remains cremated twice…a ritual normally reserved for kings. Chettha is said to have become enraged at this affront to his royal line and wanted to punish Prasat for his indolence, but one of Prasat’s allies calmed the king down. And so it was a complete surprise when Prasat’s soldiers entered the palace and began killing the king’s supporters. King Chettha fled the palace but was captured and executed. With the king now dead, Prasat put the late king’s brother on the throne. Yamada and another minister of the kingdom voiced concerns over this treasonous act. Prasat accused the minister of treason and had him arrested and executed, but Yamada was popular and commanded the veteran elite Japanese forces of the royal guard. Prasat figured there was a better way to get rid of his ally-turned-nemesis: Promote him. Prasat was suffering from a rebellion in the southern province of Ligor and told Yamada that if his forces could put down the rebellion, Yamada would be named governor of the entire province. Prasat probably figured that it was a win-win for him. Yamada would either go south and fail, taking heavy casualties, at which point he would be easier to deal with by assassination…or he’d succeed and be given a prominent post far away from the capital. Well regardless of Prasat’s plan, Yamada marched his men south and put down the rebellion, taking control of Ligor. Yamada married a member of the royal family after taking control of Ligor and set about governing his new province. Yamada had suffered a leg wound in the fighting and was content to relax, govern, and heal with his new wife and his adult son, Oin. He was forty years old now, it was time to start settling down. It wasn’t long, however, before Prasat became even more ambitious. He murdered the king he had just put on the throne a few months earlier and declared himself the new king. Yamada is said to have voiced opposition to Prasat’s claim to the kingship and his repeated acts of regicide. Yamada would never get the opportunity to stage his own rebellion, however, because his new wife was an agent of Prasat’s. While tending to his wound, Yamada’s wife wrapped a poisonous cast around his leg and he died shortly thereafter. At least he got this cool statue built in his honor, right? His son, Oin, took over as governor of Ligor and is said to have possibly raised a rebellion in his late father’s name. Prasat sent his army south and took control of Ligor forcing Oin and many of his Japanese compatriots out of Siam. Shortly thereafter Yamada’s red seal ship returned from a successful trading mission in Nagasaki and Prasat attempted to seize it for himself. The Japanese inhabitants of Ligor refused to turn it over and so Prasat burnt down the Japanese colony there, killing many of the Japanese inhabitants and forcing many more to flee. Oin and his men joined the Cambodian army and eventually led an invasion of Siam…where they were slaughtered in a marine operation. Yamada Nagamasa fell into the mists of obscurity at that point. Well at least until World War II when he became a prominent figure in Japan, being billed as an adventurous patriotic pioneer who made great contributions to ‘southern nations’ in the name of Japan. His role within Siamese society and government and his military capabilities were used to justify Japan’s involvement and expansionism in those regions during the war. Not a bad run for a knife-maker’s son? Second most powerful man in the kingdom of Siam and leader of an elite 700-man strong force of Japanese warriors.